The IHEP Indico server is integrated with IHEP SSO system. Here is the guide about login to IHEP Indico. 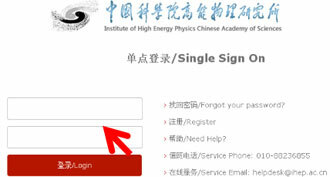 The IHEP single sign on system is based on IHEP unified account system. A user can access many IHEP applications with a single account. Your IHEP email account can be used as IHEP SSO account. Email address, as the unique identifier, is used to map between IHEP SSO account and Indico local account. If the email addresses registered in IHEP SSO system is the same as the one in Indico local system, then the account logging in with IHEP SSO account is mapped automatically to the Indico local account. Otherwise, they will be different accounts. Note: Before you login with IHEP SSO account, please be sure that your email address in IHEP SSO account and in Indico local account are the same one. 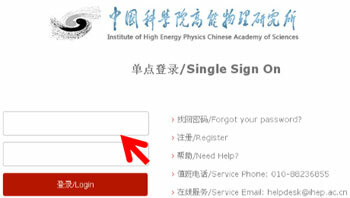 If not so, please login with your Indico local account and modify the email address to the one in IHEP SSO first. (2) Click “Profile” to fill in your personal information. Note: please be sure that your email address in IHEP SSO account and in Indico local account are the same one. (1) For IHEP employees, if you do not have an IHEP email account, please apply for it first. After that, use the steps in 4 to login Indico. BESIII category under open zone is protected now. BESIII members are allowed to access it. (1) BESIII members must login Indico at lease once with your IHEP SSO account to have access to BESIII conferences . (2) When some users login Indico with your IHEP SSO account at the first time, Indico cache may affect the authorization. So if you are failed in authorizing, please re-try in half an hour.